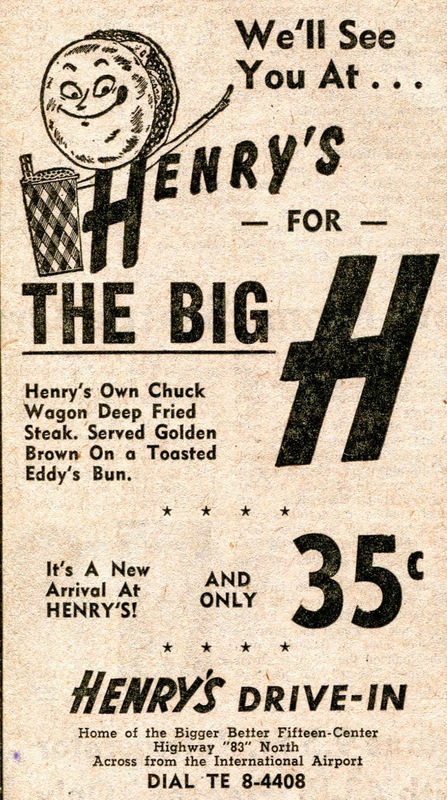 An ad in the newspaper in September 1964 for Henry’s Drive-In boasted they were the “Home of the Bigger, Better Fifteen Cent Hamburger.” Apparently Henry’s also featured family dinners…. 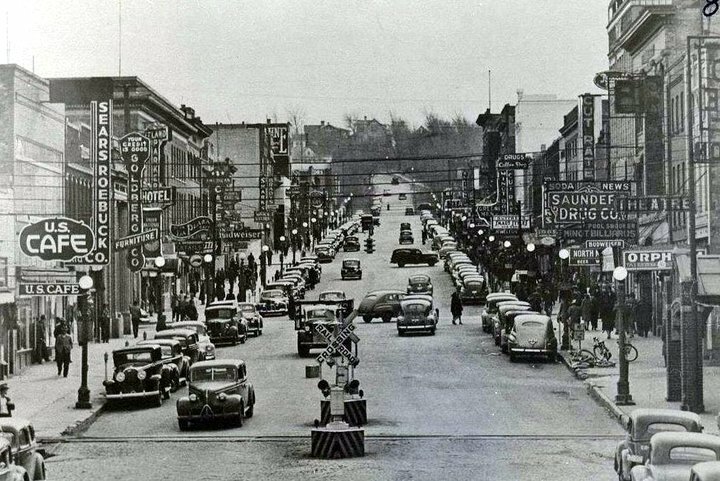 A chicken dinner – 82 cents…. Shrimp dinner – 83 cents and a Steak dinner – 74 cents. Every dinner included a generous portion of French fries, onion rings and a roll. Henry’s Drive-Inn was locate at the intersection of Highway 83 North (North Broadway) and 21st Avenue.